What is Medigap Plan D? Medicare supplement Plan D is designed to cover many of the high risk gaps that are not covered by Medicare Parts A and B. This plan also offers lower premiums than the more comprehensive plans like Plan F. Medicare Supplement Plan D is one of the few Medicare supplement Plans that offers enrollees Preventive Care Coverage. Medigap Plan D coverage includes the Basic Benefits that include hospital coinsurance, the Medicare coinsurance for Part B, 365 additional days of hospitalization coverage, and blood coverage for the first three pints. Medigap Plan D also includes skilled nursing coinsurance, the deductible for Part A, and Hospice Care coinsurance. Medigap Plan D does not include coverage for the Part B deductible, or any excess costs for Part B. Excess costs are the difference between what the doctor charges you and the Medicare-approved amount. 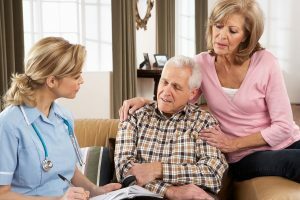 It can be difficult to determine which plan is right for you, and not all insurance carriers offer all of the Medicare Supplement Plans. Most insurance carriers offer a variety of plans, and our licensed sales agents can help you shop around for the plan that best fits your needs and budget.